Titled the adVenture Capital Conference, the event is designed to introduce prospective entrepreneurs and investors to the area. 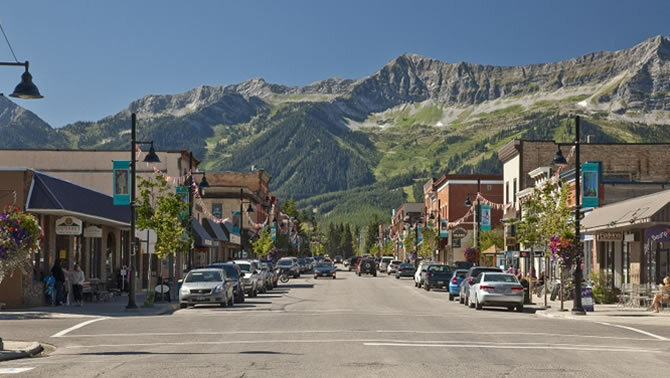 The Elk Valley Economic Initiative (EVEI) has announced that it is hosting its first economic development conference June 16 to 18 in Fernie, BC. The 2 1/2-day event, titled the adVenture Capital Conference, is designed to introduce prospective entrepreneurs and investors to business opportunities in British Columbia’s Elk Valley. The Elk Valley provides a diverse economy built around outdoor recreation and adventure tourism, forestry and metallurgical coal mining. The region is noted for several world-class outdoor activities including powder skiing, mountain biking, fly-fishing, snowmobiling, ATVing, hunting, wakeboarding, and back-country adventures. The region is also the heart of Canada’s metallurgical coal mining industry. At this time, over 90% of Canada’s steel-making coal exports come from the Elk Valley, with five mines currently in production and several others in various phases of exploration and permitting. Located in BC’s South-East Kootenay region, the Elk Valley extends from Lake Koocanusa and the Montana border to the Alberta border from Kananaskis Country to Crowsnest Pass. It includes the municipalities of Fernie, Sparwood, Elkford, Hosmer, Morrissey, Elko, Grasmere and the Ktunaxa Ksanka, or Tobacco Plains First Nation. “The conference is being hosted by the Elk Valley Economic Initiative, and supported by our local communities”, stated EVEI Chair Sharon Strom. “We’re very excited about the level of support received from the communities of Fernie, Sparwood and Elkford, and our local industries in promoting the abundance of opportunities here and the lifestyle we all enjoy,” Strom added. Luncheon keynote speech on Entrepreneurship, delivered by New York Times best-selling author Chris Brogan. This luncheon is open to the general public. Dinner keynote speech on Partnerships with Chief Clarence Louie, noted entrepreneur, economic developer and chief of the Osoyoos Indian Band. Adventure Day on Saturday June 18 where attendees and their families can choose from a variety from Elk Valley adventures including mountain biking, white-water rafting, rock climbing, fly-fishing, hiking, kayaking, boating, golf, spa, arts tour, and Teck mine tours. The main conference events will be held at Fernie Alpine Resort, with parts of the conference being held in Elkford and Sparwood. Tickets are now on sale at www.adventurecapitalbc.com or for more information call 1-888-808-0826. The Elk Valley Economic Initiative is a non-profit society whose members represent the communities and industry in BC’s Elk Valley. Members include the municipalities of the City of Fernie, the District of Sparwood, the District of Elkford; their respective Chambers of Commerce; and the Tobacco Plains Indian Band.